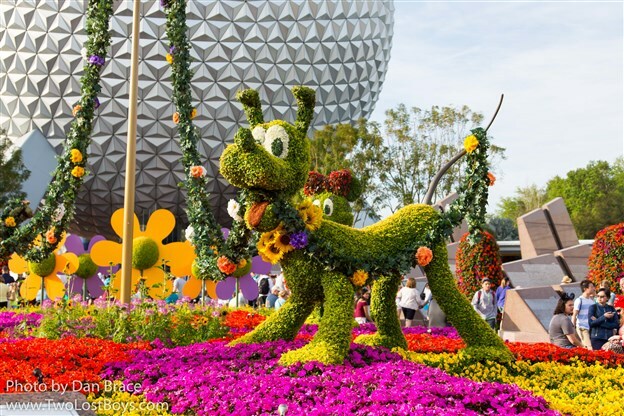 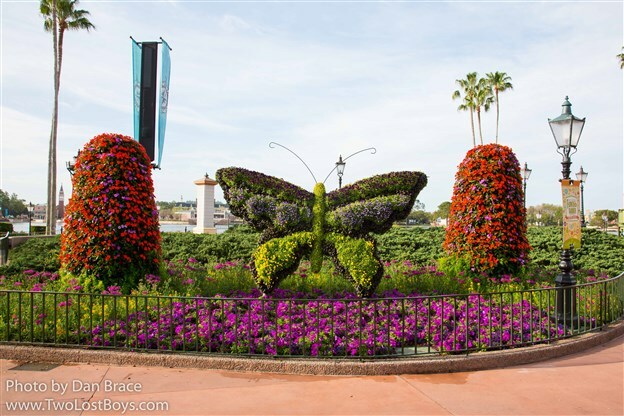 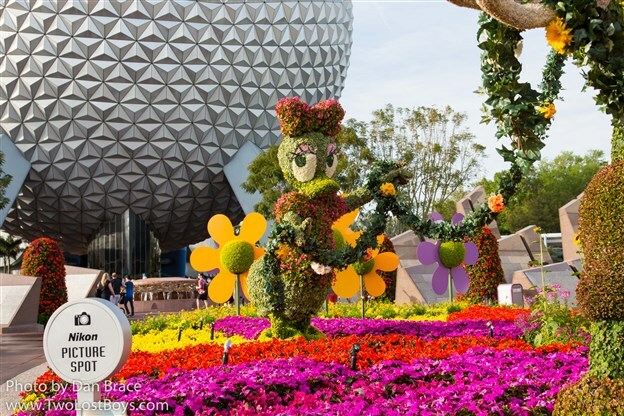 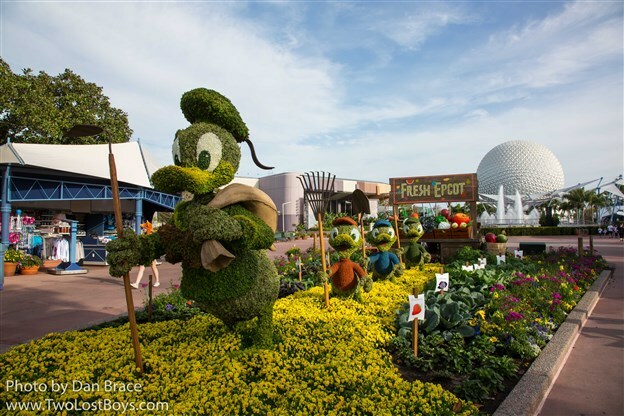 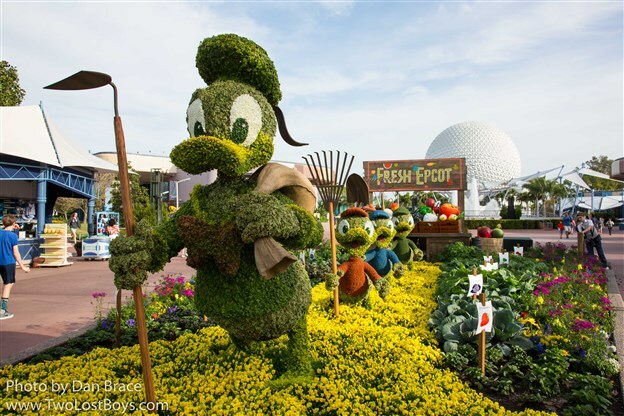 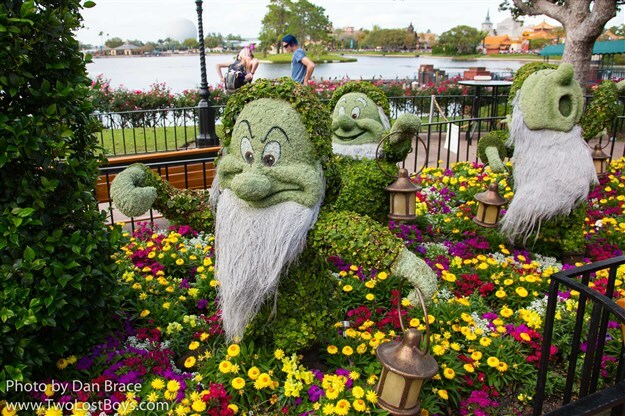 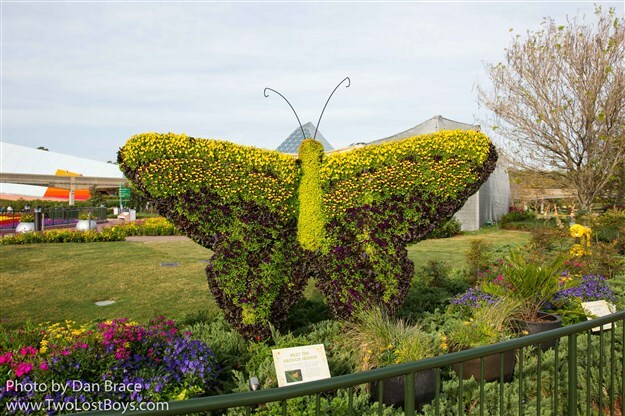 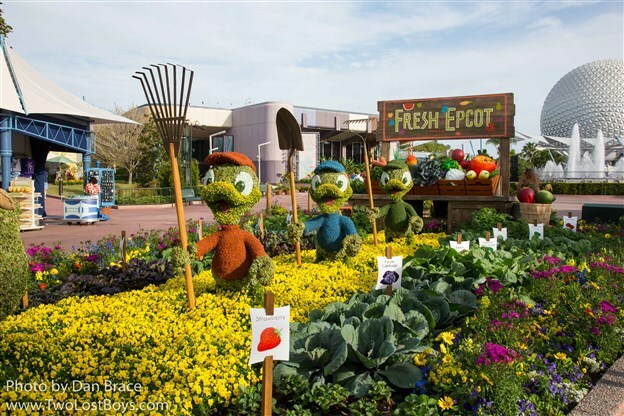 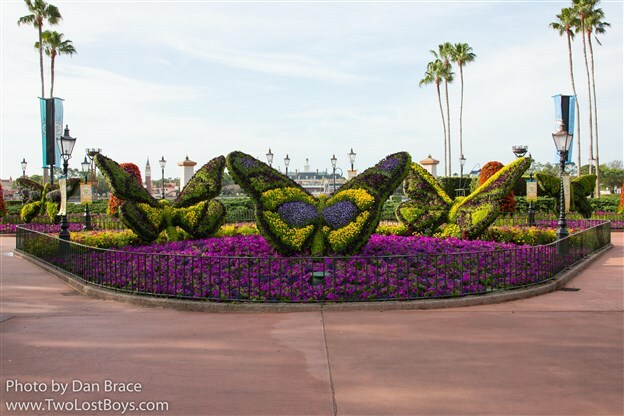 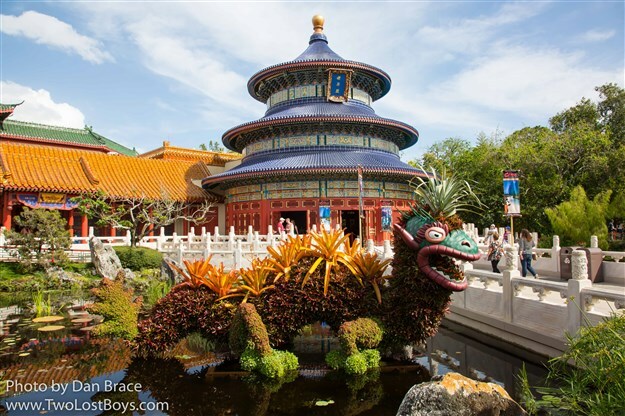 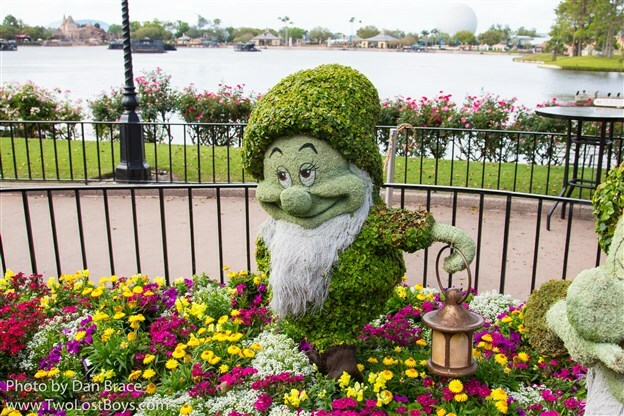 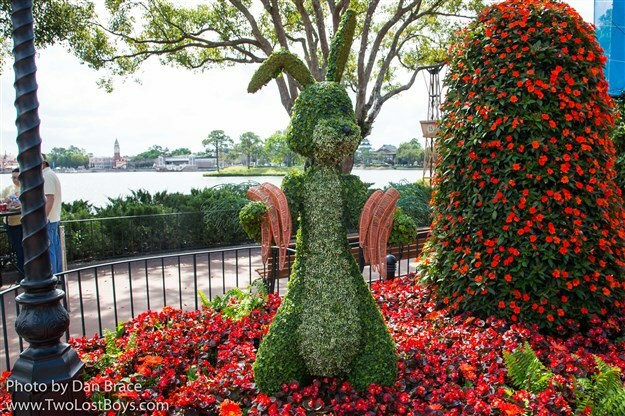 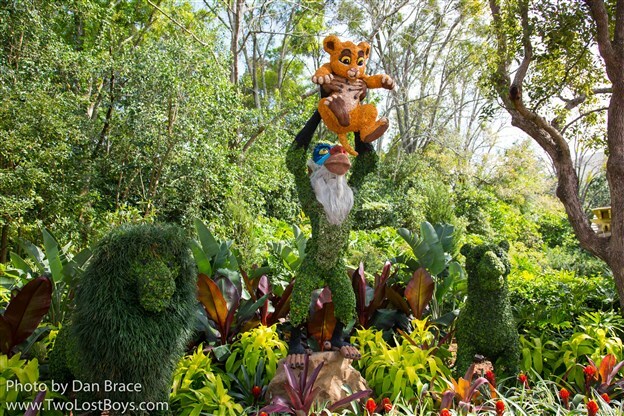 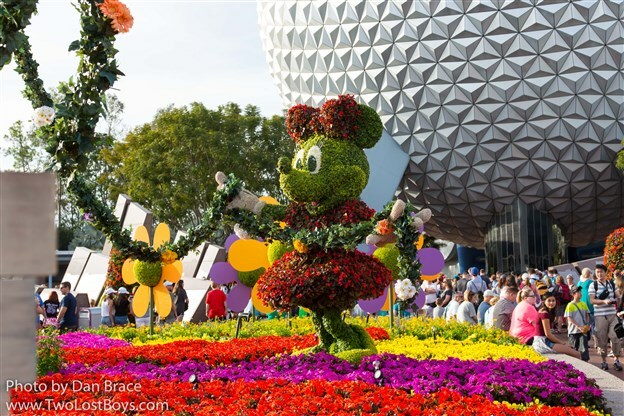 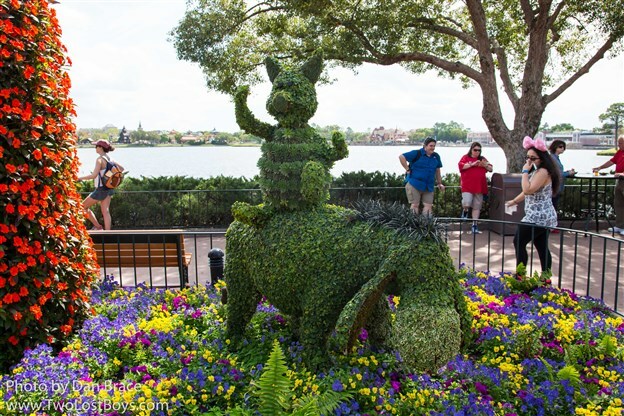 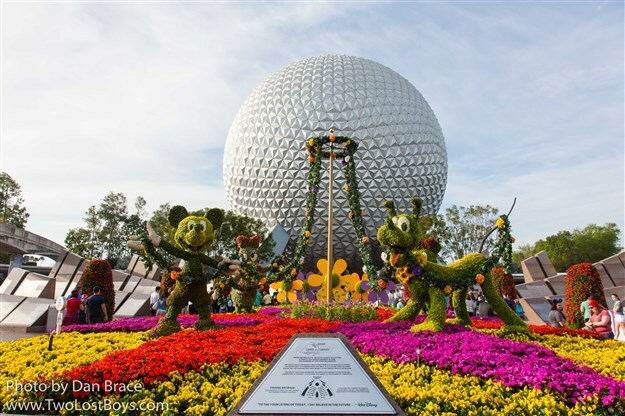 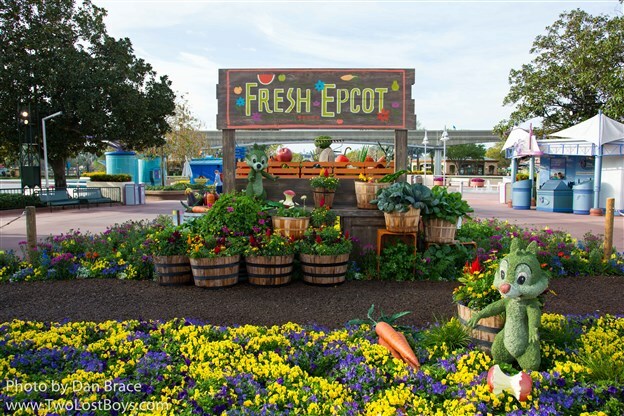 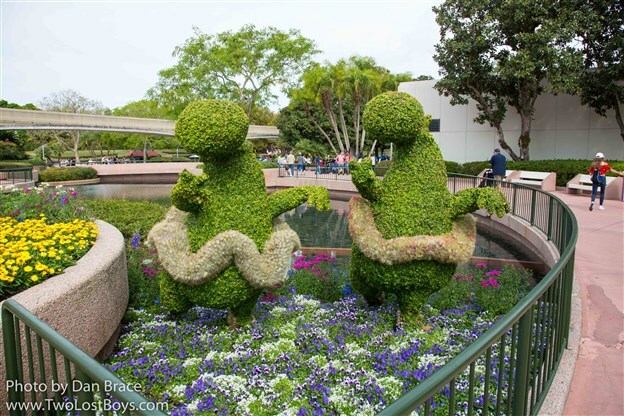 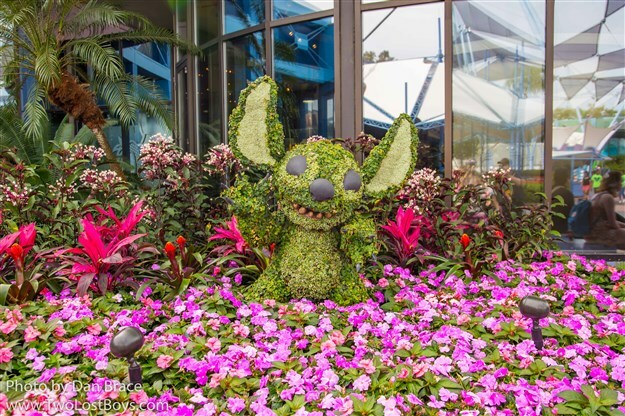 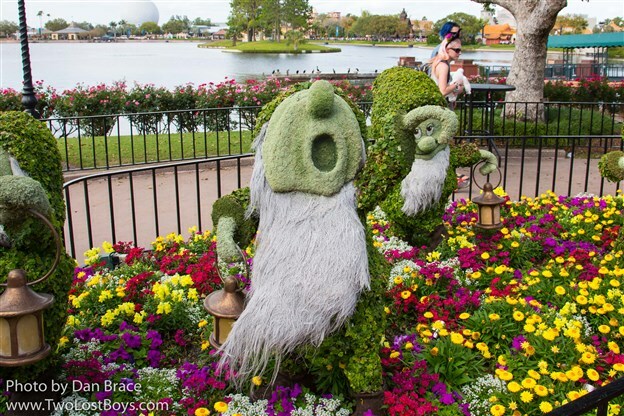 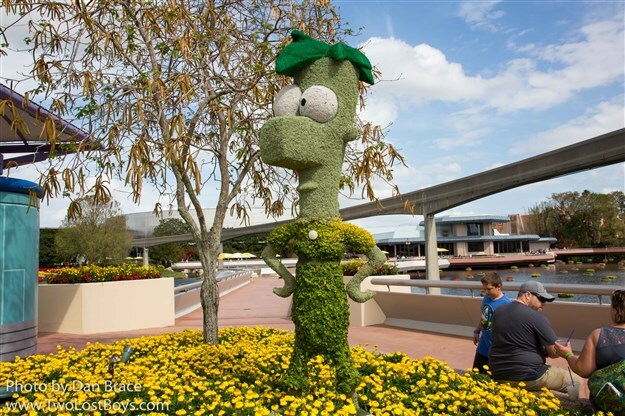 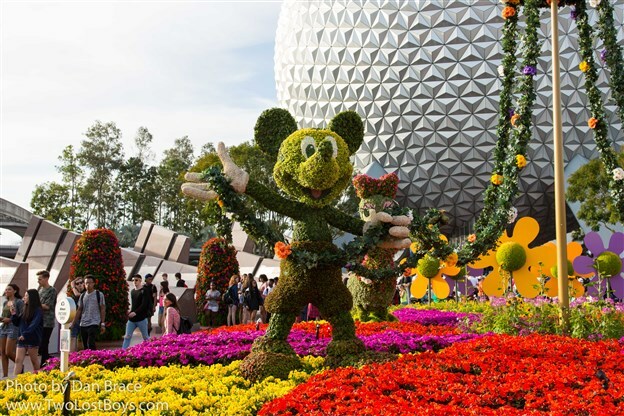 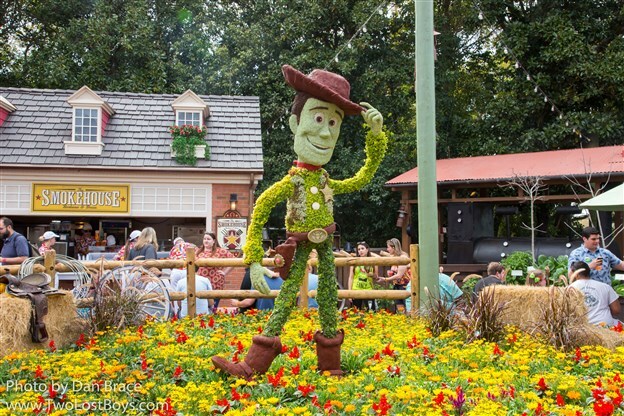 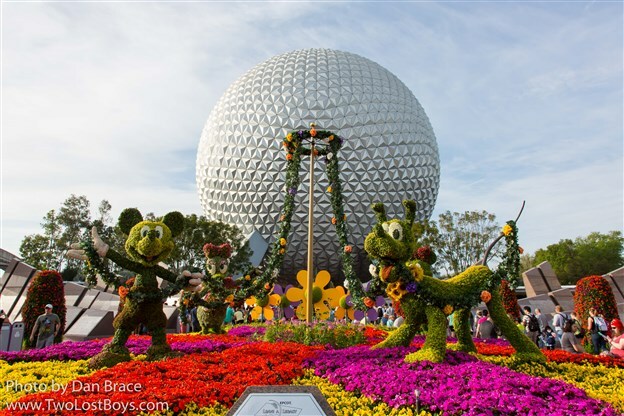 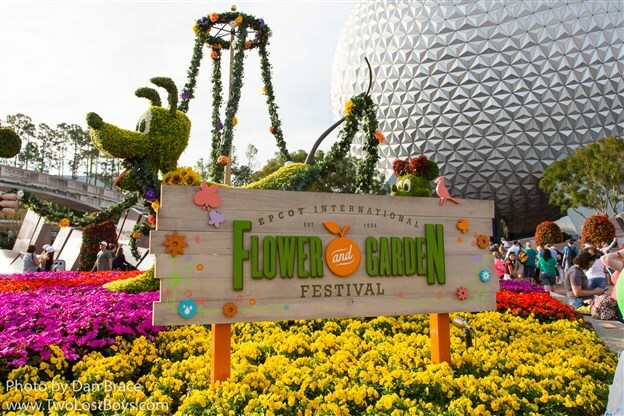 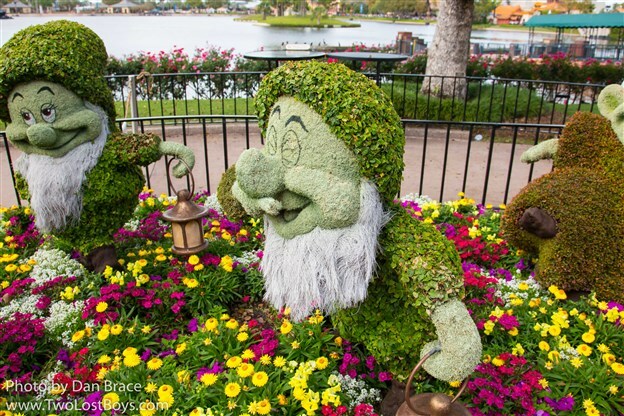 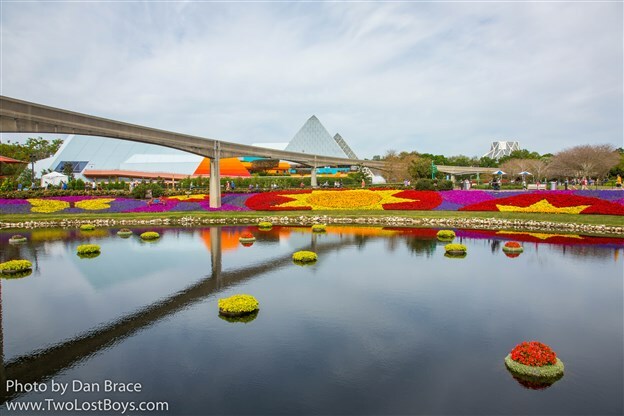 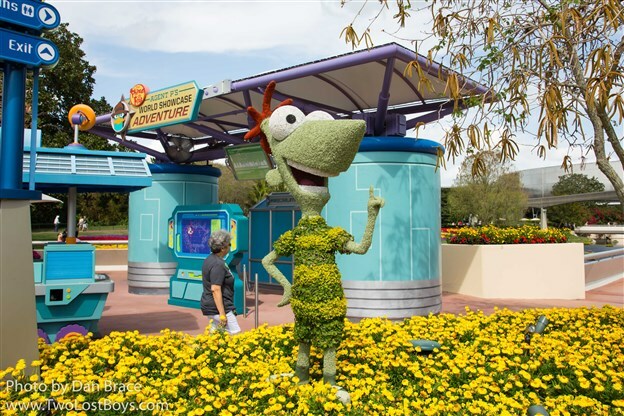 Last Saturday we spent the day at Epcot exploring the Epcot International Flower and Garden Festival. 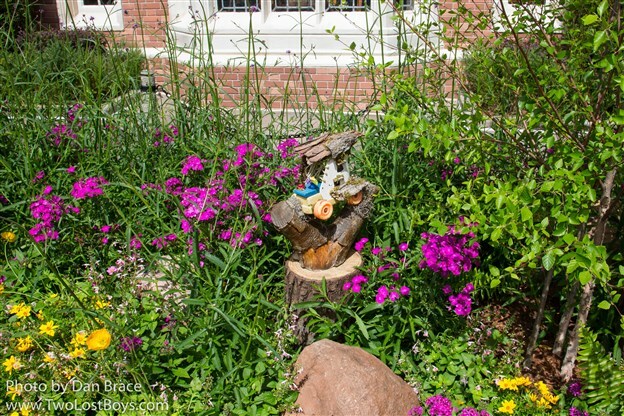 While we didn't get time to experience absolutely everything, we covered most things, and I thought I would share with you my photos and thoughts. 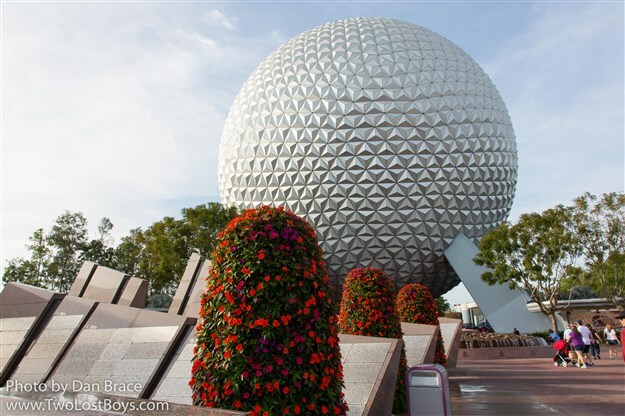 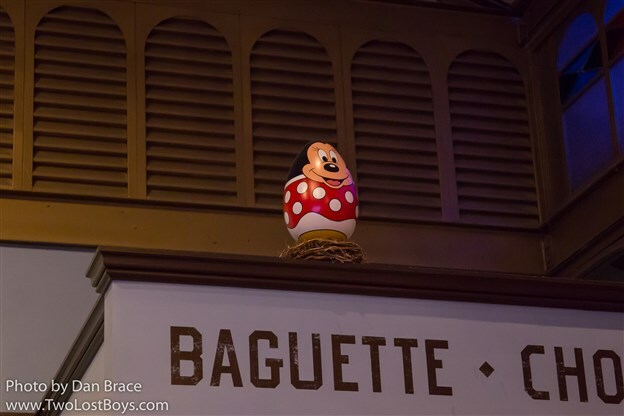 We will actually be back at Epcot in less than two weeks time, and so I will update the blog after that with the things we cover that we missed this time. 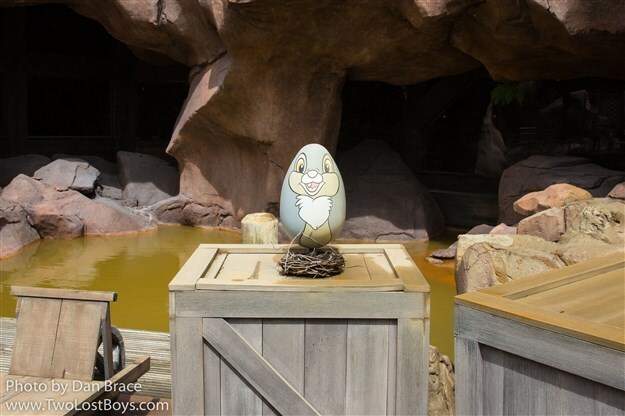 We were at the park before opening, and were amongst the first in when they started letting people in ten minutes before official opening time. 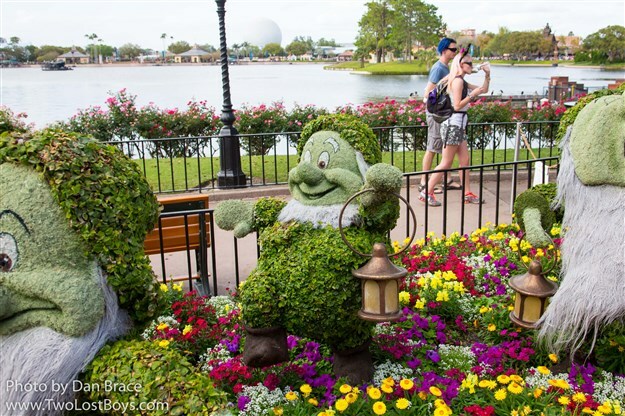 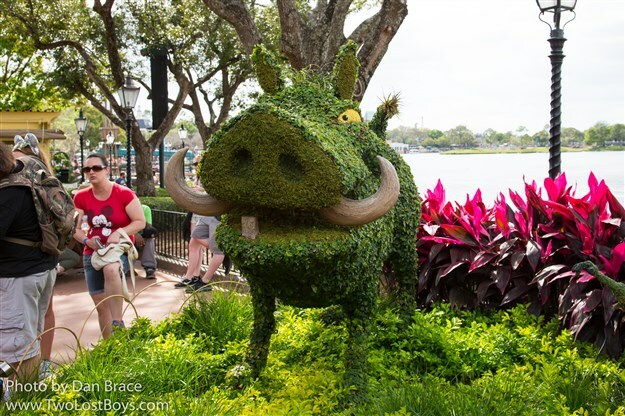 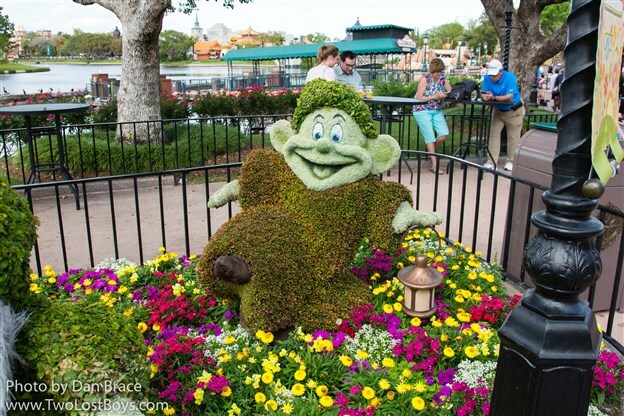 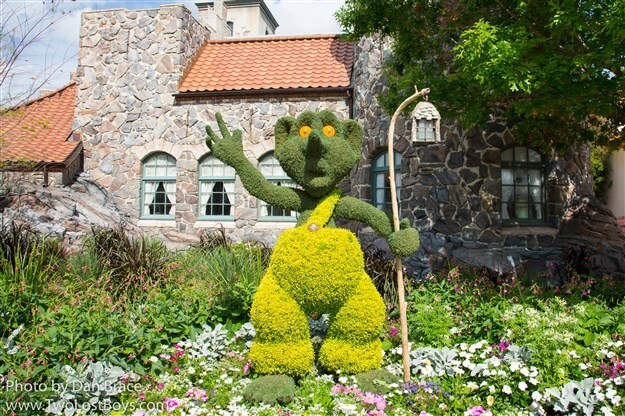 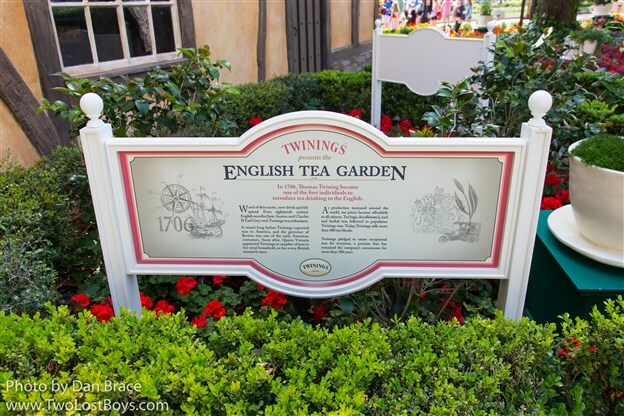 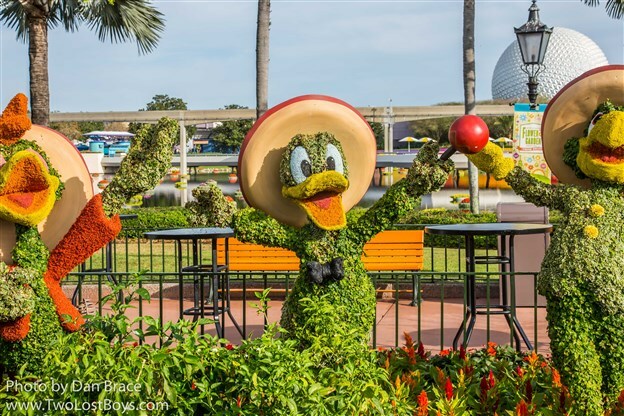 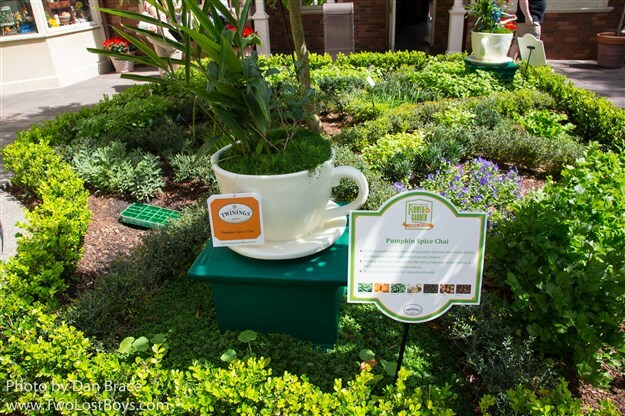 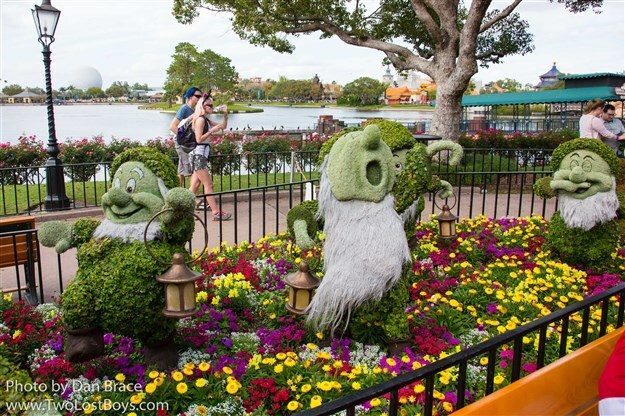 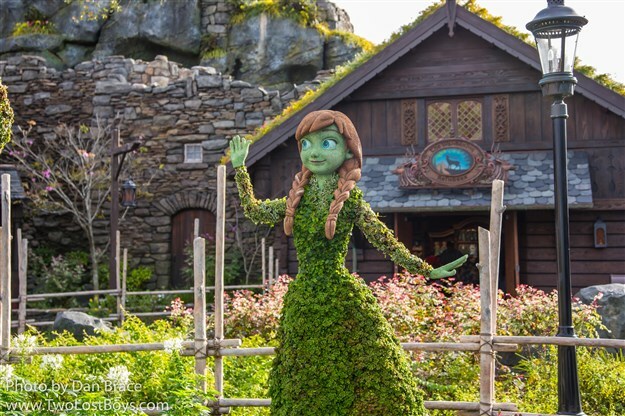 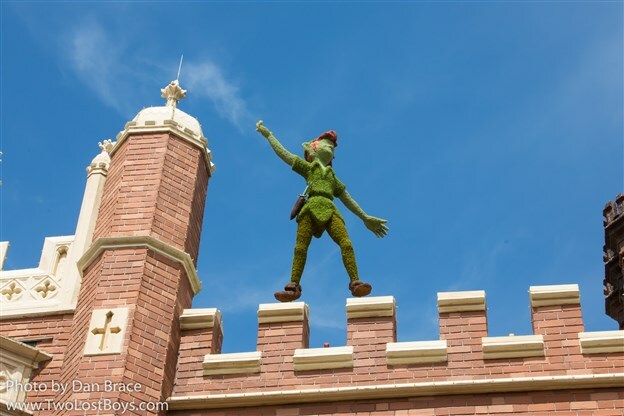 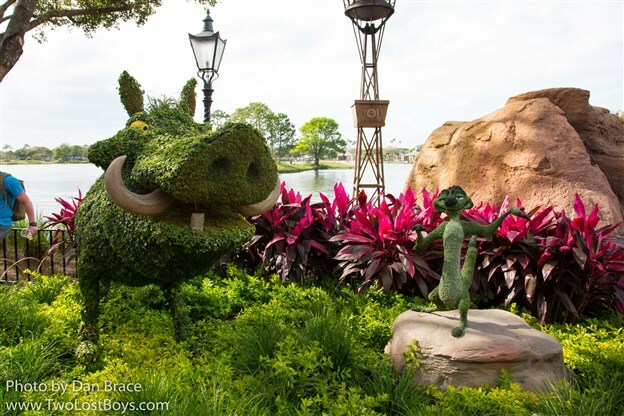 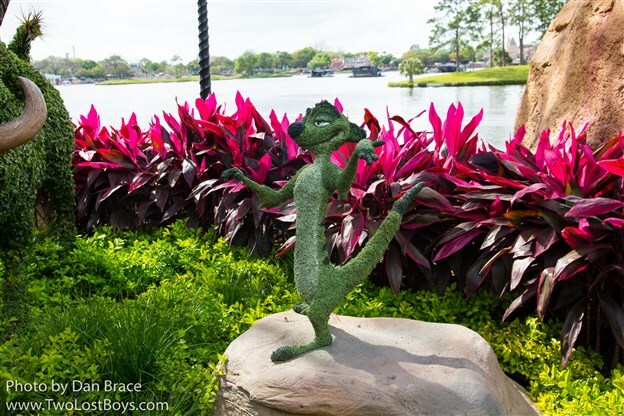 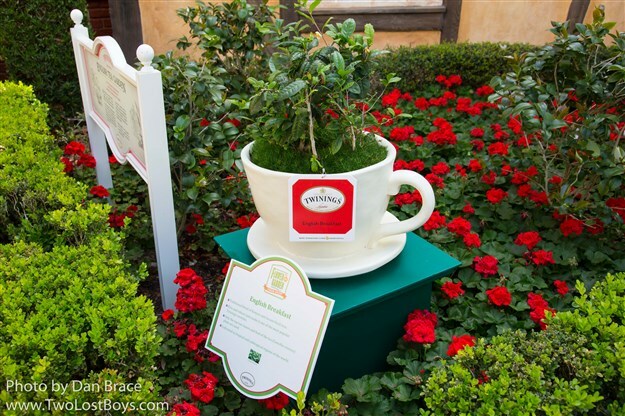 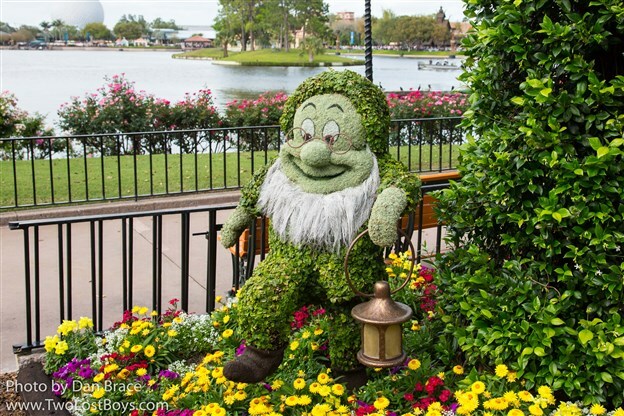 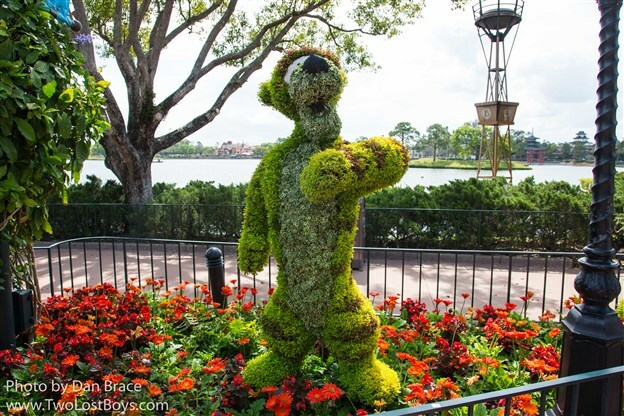 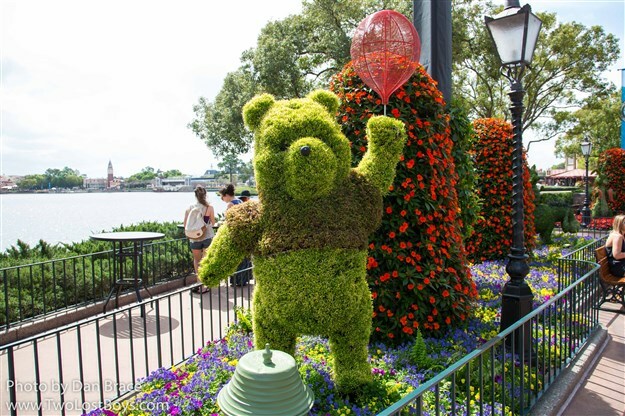 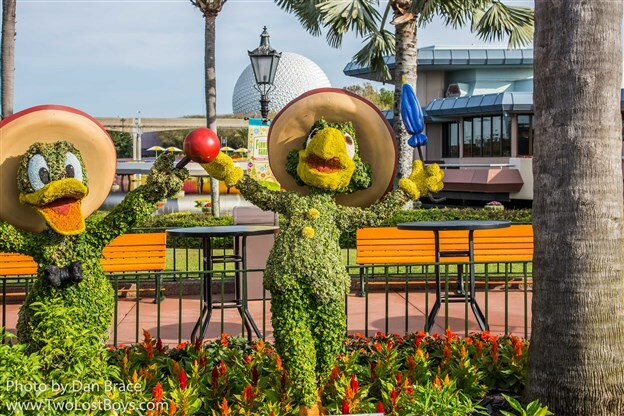 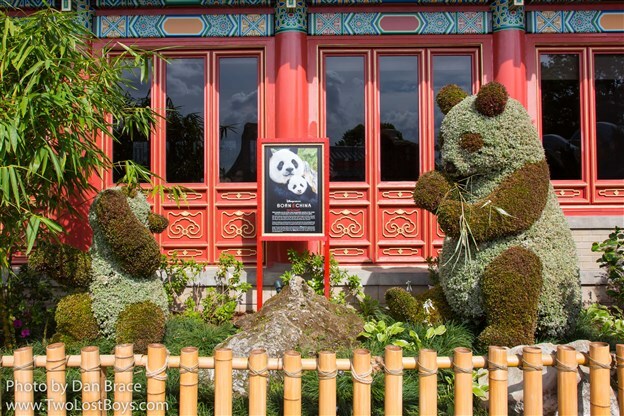 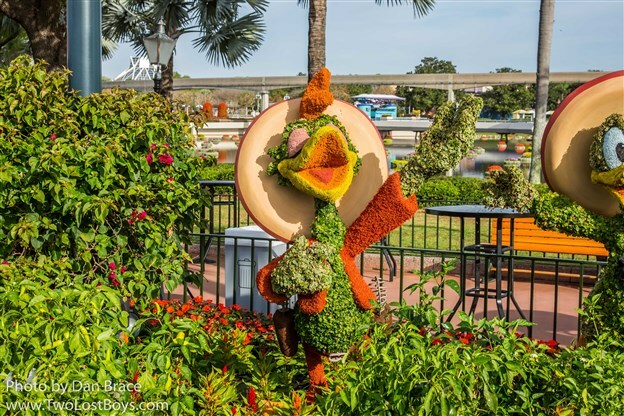 We worked methodically through the park, taking photos of all the topiaries as we passed by them, and trying just a few of the specialty drinks at the F&G kiosks along the way. 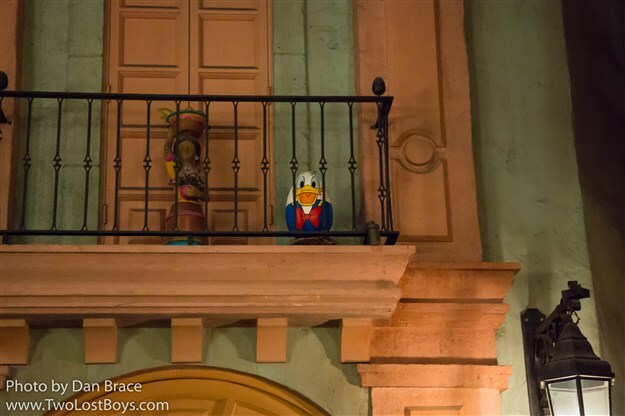 This year the festival added Figment in Future World and the Three Caballeros near the Mexico pavilion, which made me really happy. 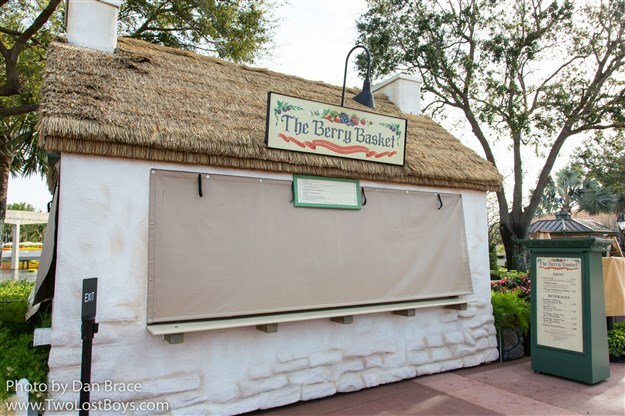 Unfortunately over the years I feel as though in order to get anything new, they have to take several things away. 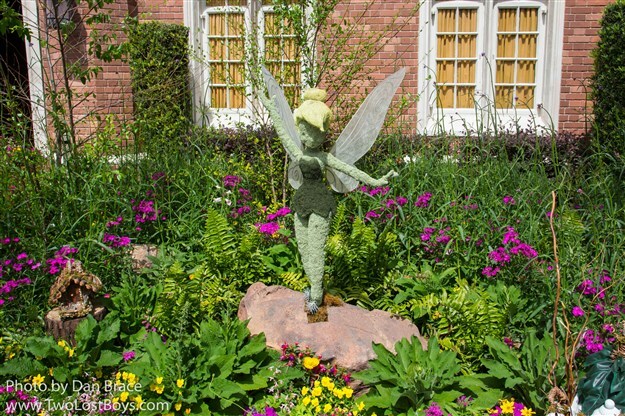 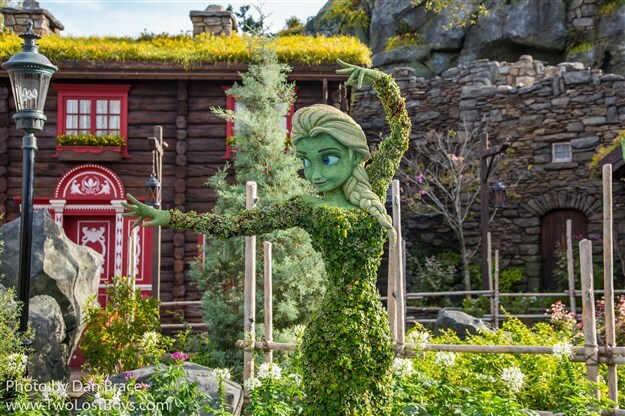 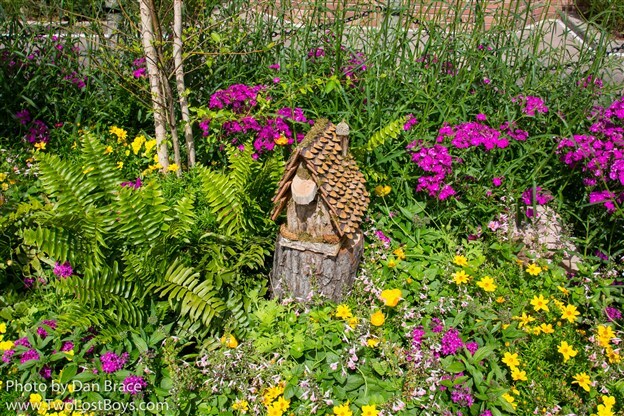 The fairies were no longer in the butterfly house, and instead just Tinker Bell and some of the small "fairy houses" were at the UK pavilion, but that meant that Tick Tock was ditched this year, which really makes me sad. 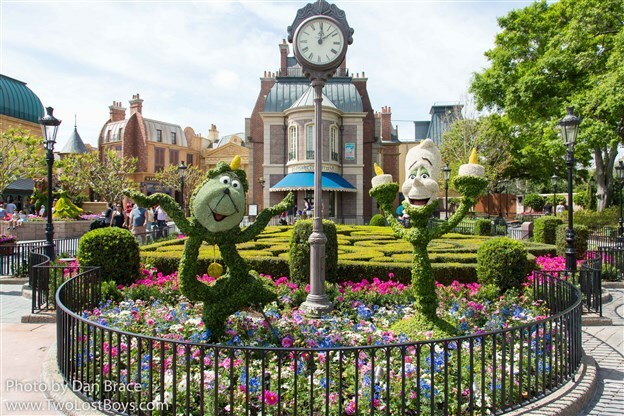 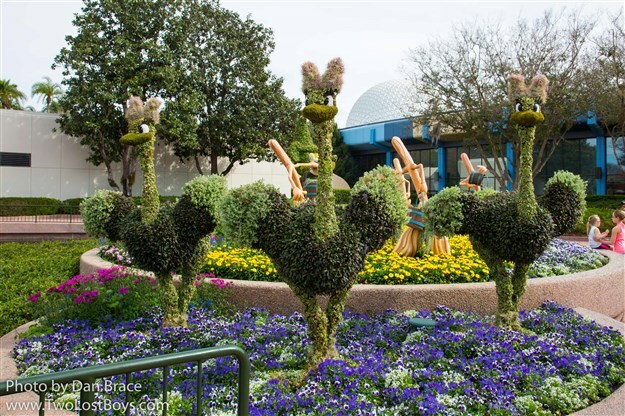 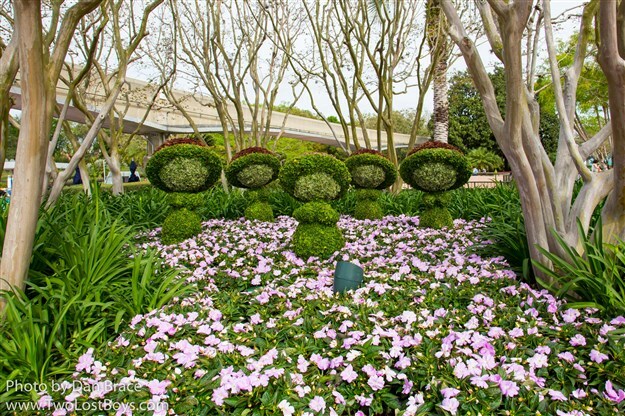 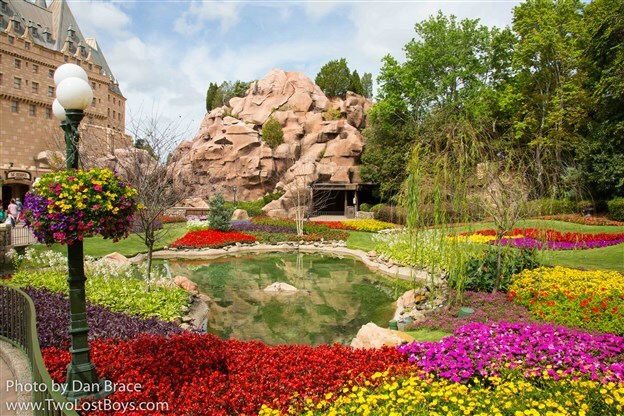 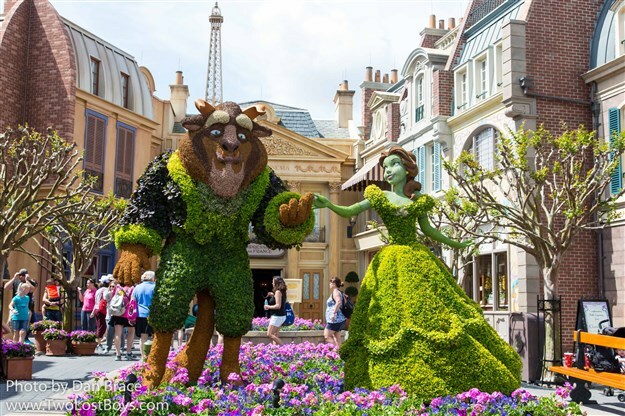 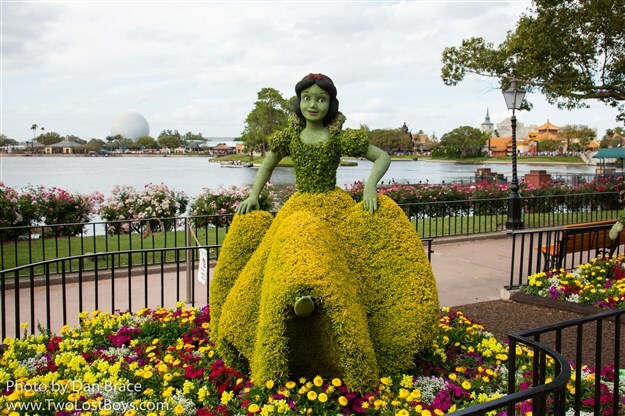 The princess topiaries in France have also dwindled over the years, and now we only have Belle, Beast, Lumiere and Cogsworth. 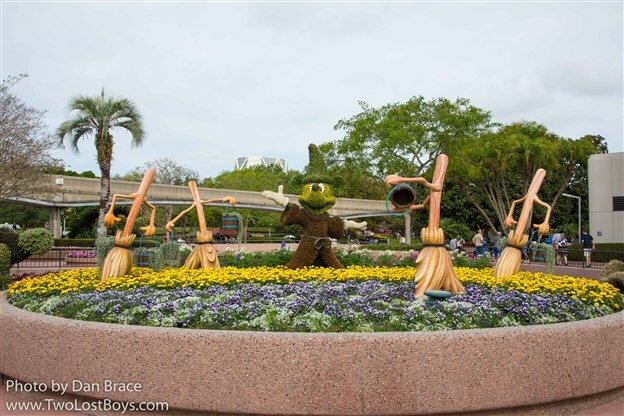 Looking back at my past photos, in addition to the four I just mentioned, they used to have Mrs Potts, Chip, Cinderella and Prince Charming, and Princess Aurora and Prince Phillip, as well as French perfume bottles. 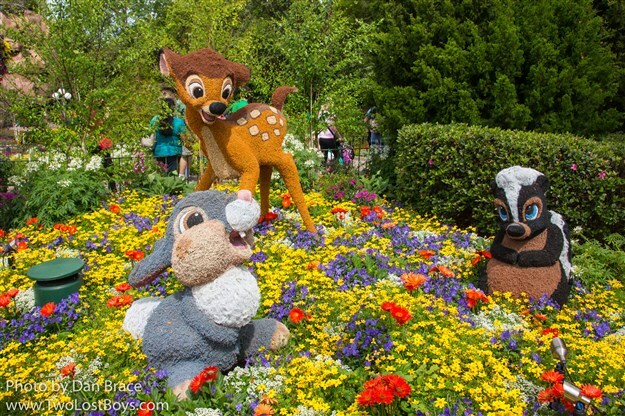 Complaints aside, I do really love Flower and Garden. 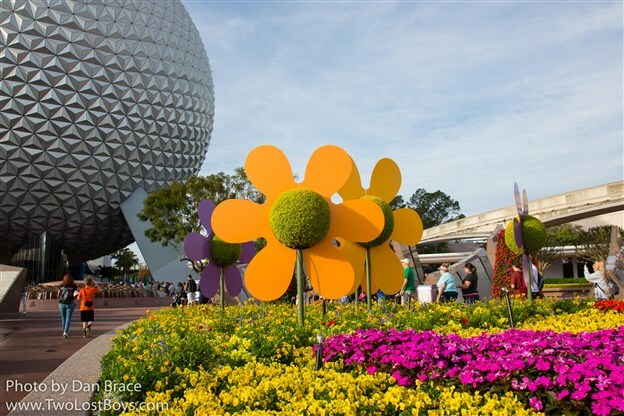 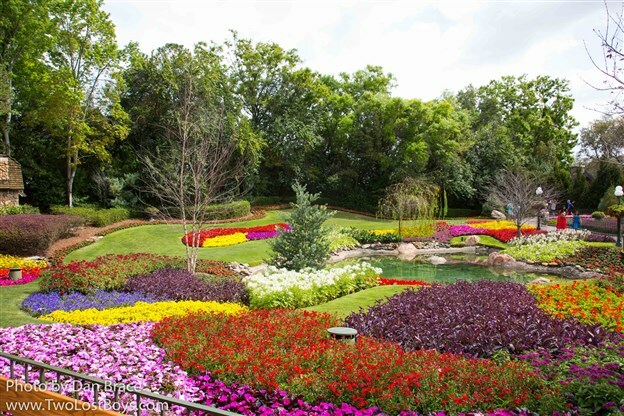 It is always very pretty, very colourful and really adds some life to Epcot. 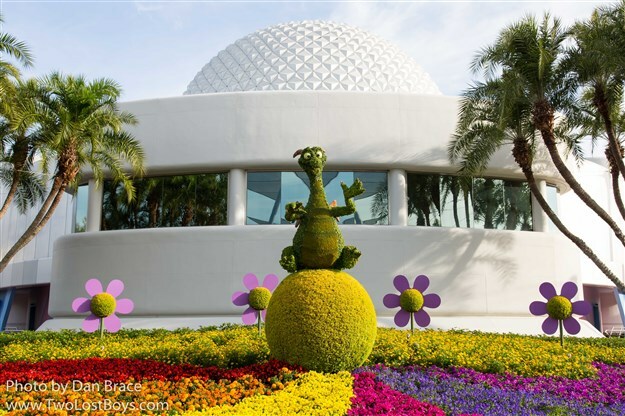 Let's start with photos from Future World, then we'll check out World Showcase, merchandise, drinks and finally the Easter Egg-stravaganza. 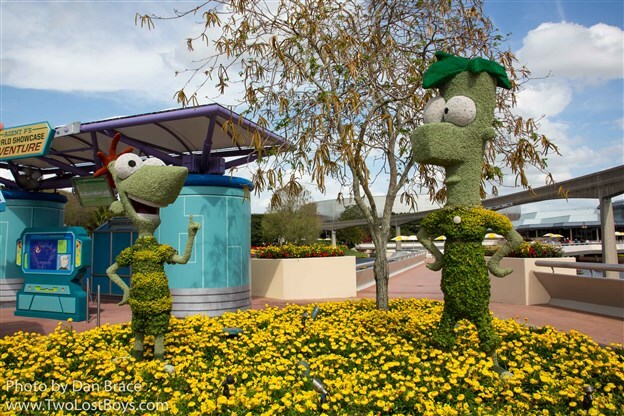 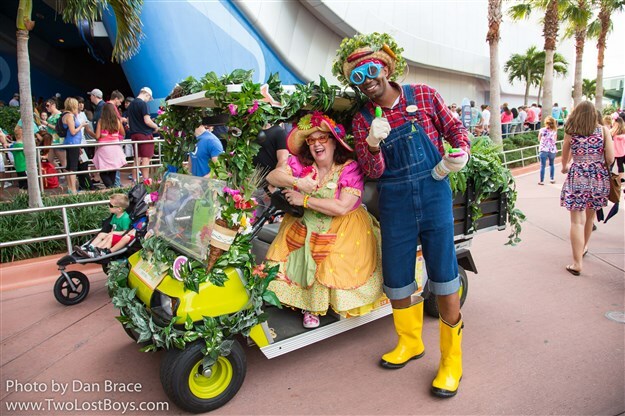 While near the front entrance of the park, we encountered two Flower and Garden hosts rolling around in a golf cart! 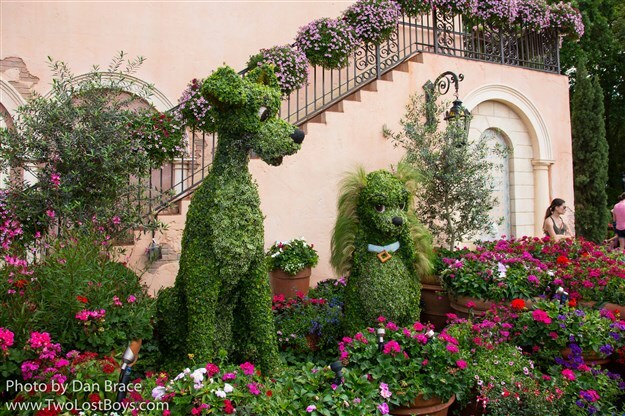 Their names are Bella and Will Grower, apparently. 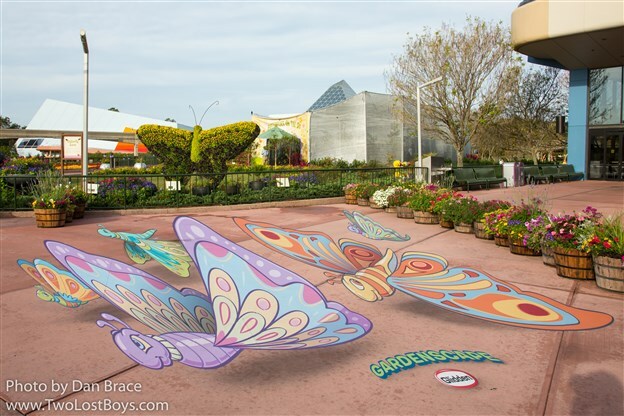 Then we head into the Showcase Plaza area before hitting World Showcase. 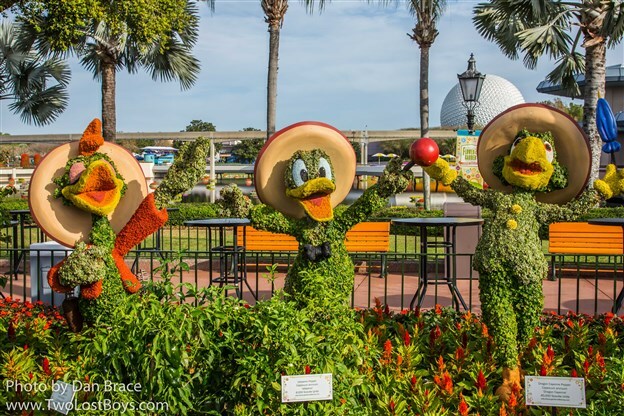 We'll begin our tour of the world in Mexico, with everyone's favourite feathered friends! 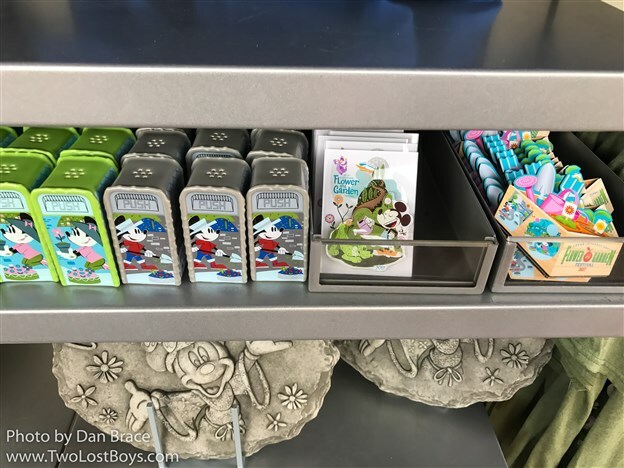 As always, there is a lot of merchandise this year for the festival. 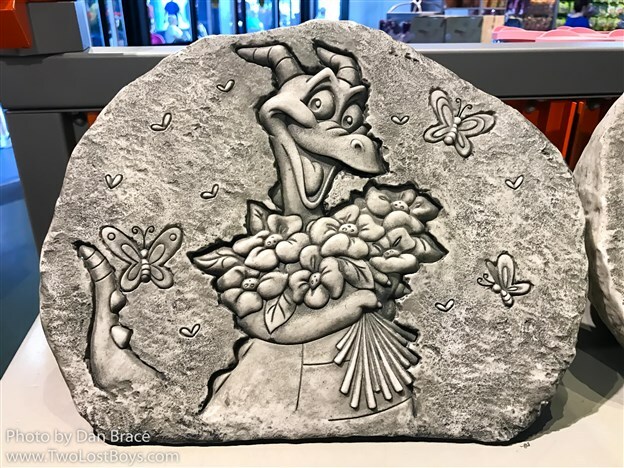 We picked up some t-shirts, a magnet, salt and pepper shakers, and some other small items. 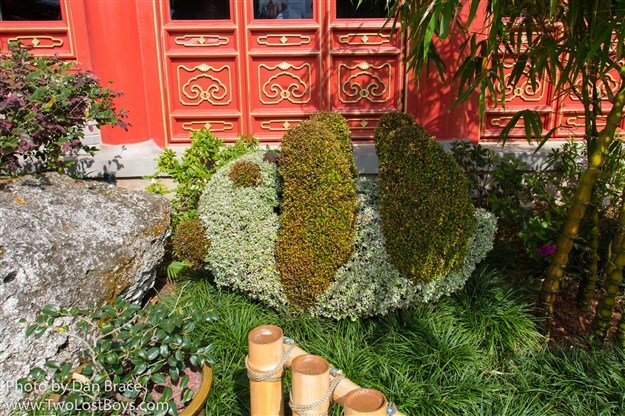 I took a couple of photos of a few things, but hope to cover more of it when we are back in less than two weeks time. 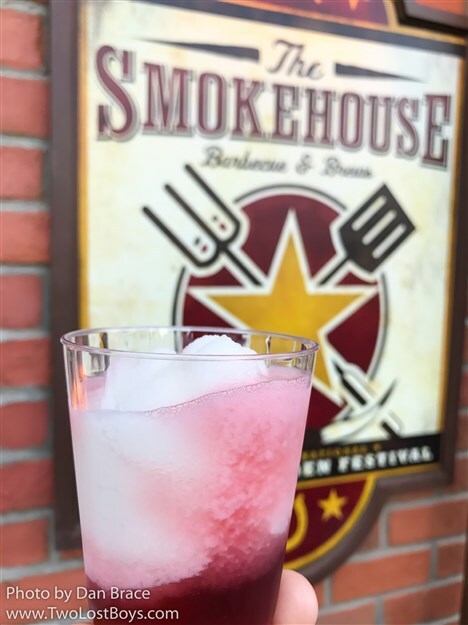 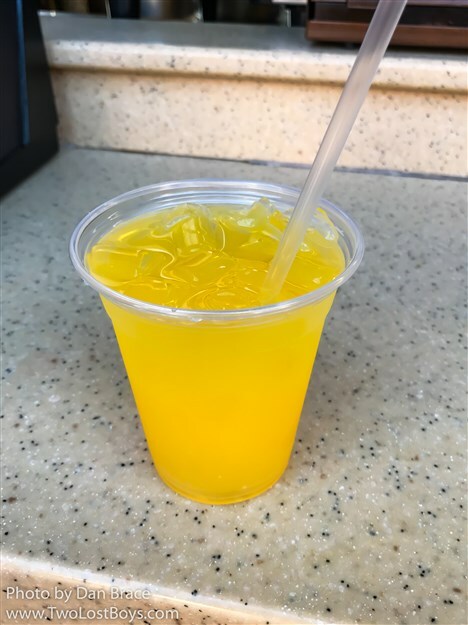 While wandering around the world, we tried a few of the special drinks from the festival kiosks. 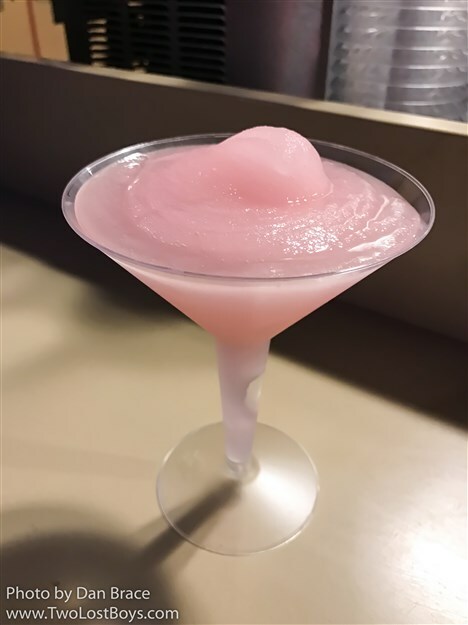 We got drinks in China, The American Adventure and France. 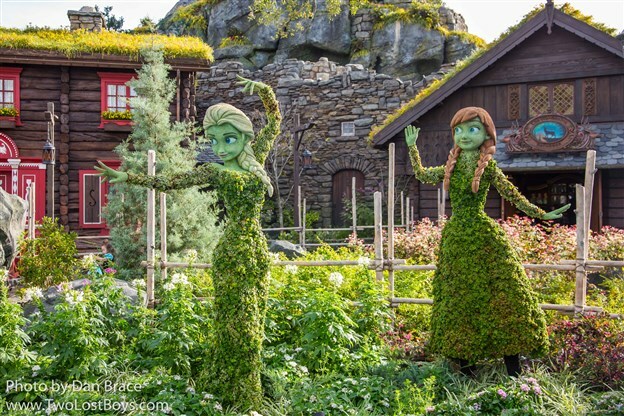 While all three were very nice, I think the one from France was my favourite. 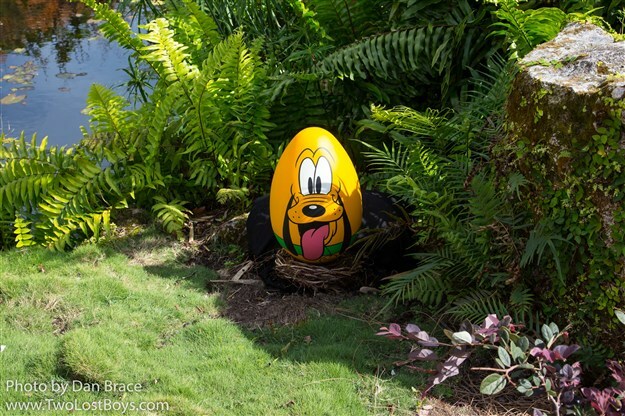 Finally for this report, and for our day at the festival, we took part in the Easter Egg-stravaganza. 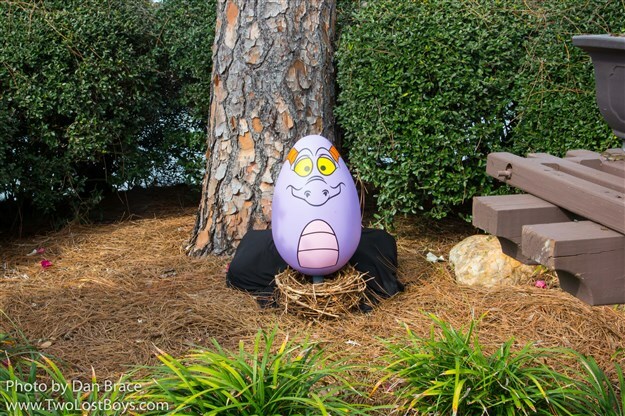 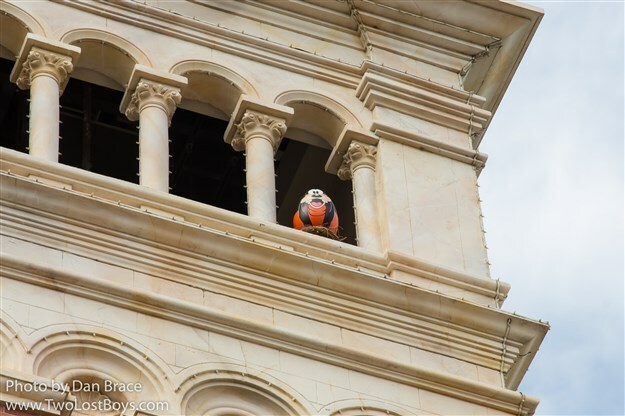 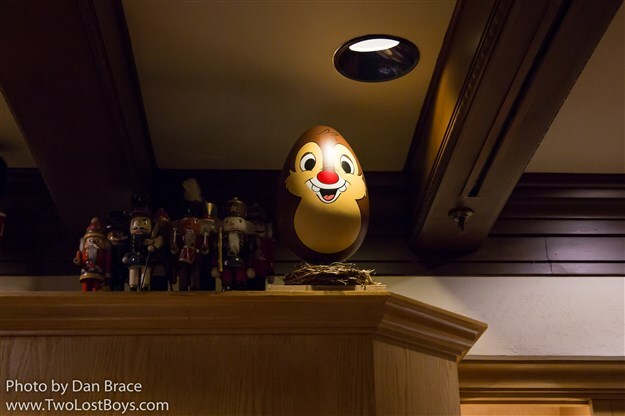 The Easter Egg-stravaganza is an Easter Egg hunt around World Showcase (extra charge). 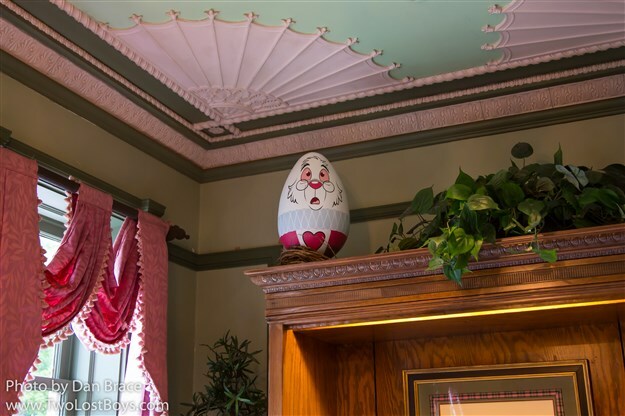 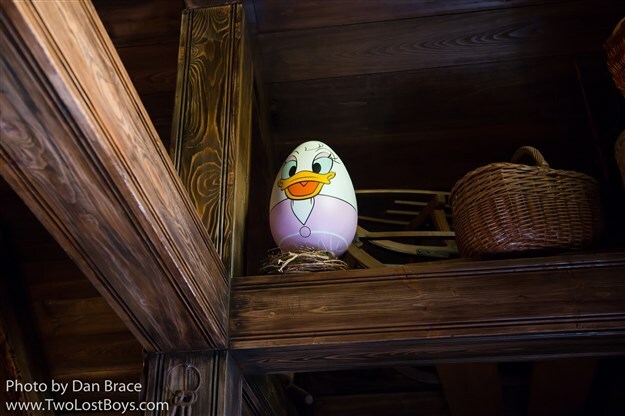 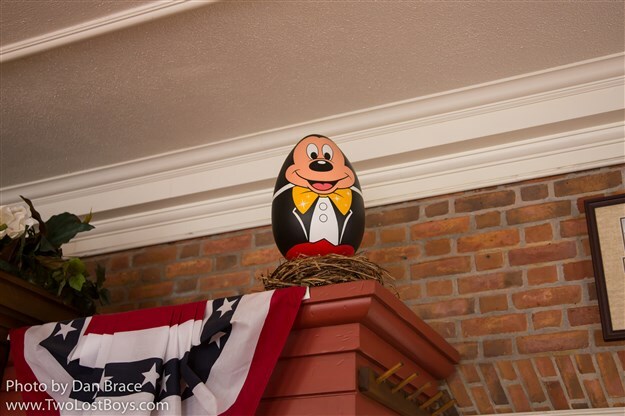 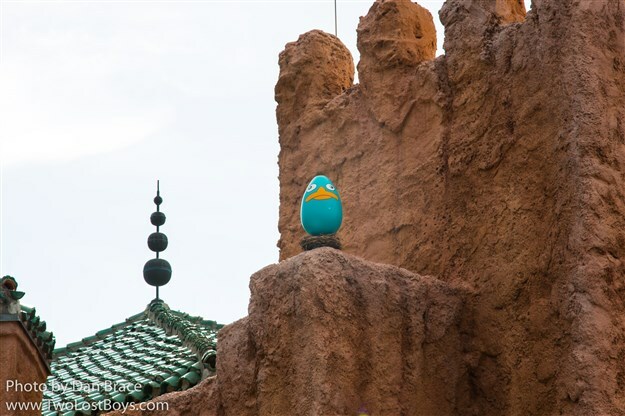 You find special character themed eggs hidden throughout the park, and place the according sticker on a map. 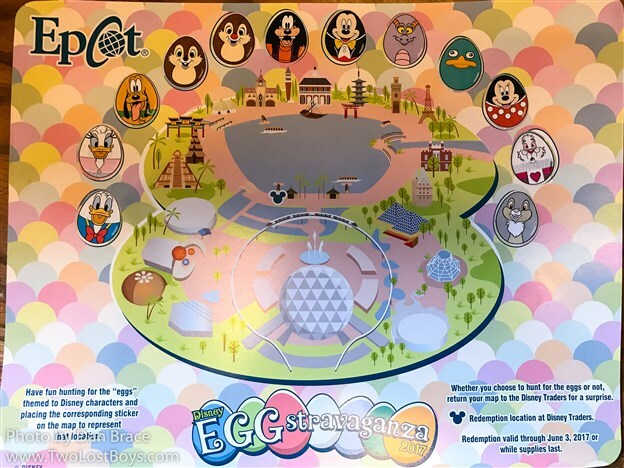 Once you have completed the map, you take it to the store on Showcase Plaza and collect a special Easter Egg prize. 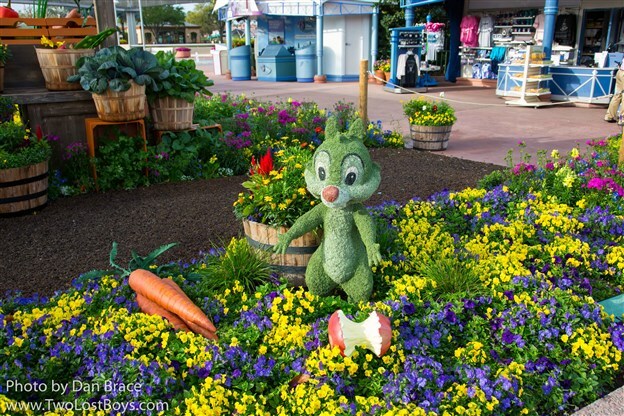 At the time of our visit, there were twelve varieties available, but we were told that some - especially Stitch - were proving to be very popular, and they were already almost out of them. 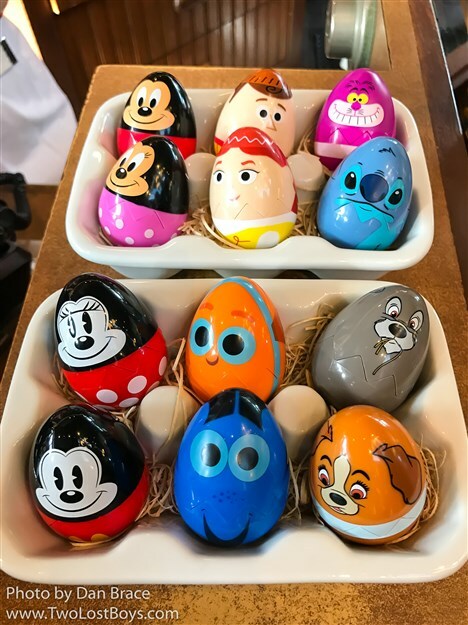 I am going to put photos below of the eggs and the completed map, so if you're planning to take part soon and don't want to spoil the surprise, you can click off the blog now, as there is nothing else in this report after the eggs! 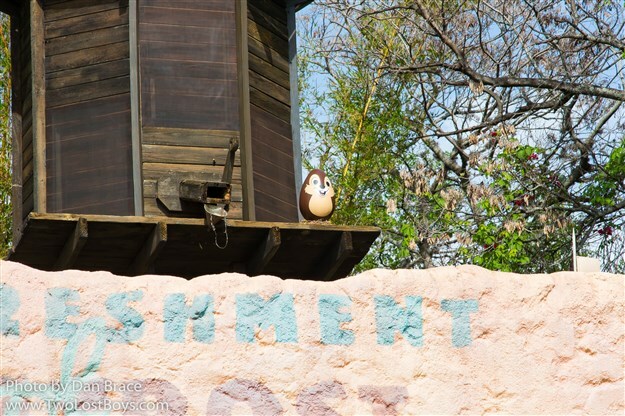 That's it for this report! 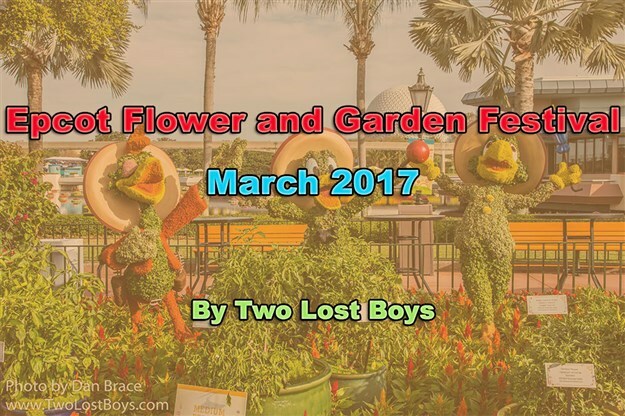 Stay tuned to the blog for more Flower and Garden fun in a couple of weeks!